Connect Your Guitar & Rock Out! 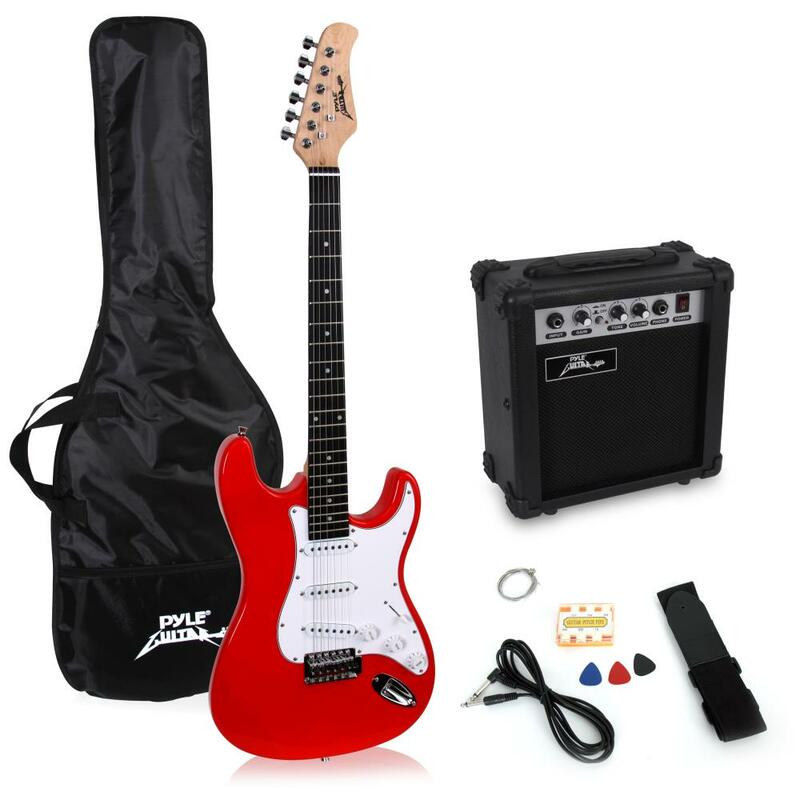 Get rocking with this beginner electric guitar package from Pyle Pro! It comes with everything you need to get started. At the center of this kit is a double-cutaway, solid-body guitar constructed from the highest-quality wood materials: basswood for the body, rosewood for the fretboard, and maplewood for the neck - all of which contribute to the guitar's signature rich, clear tone. The kit also includes a 10-watt amp with a 6.5' speaker, 3-band EQ, and overdrive. Also included in this kit are picks, a carrying case, extra strings, and a tuner. Color: red.